A dashboard is a customizable page allowing you to visualize key metrics from your datasets. 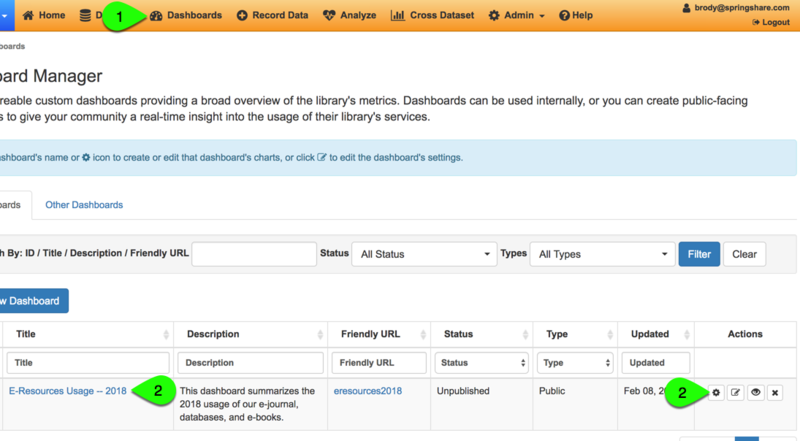 Similar to a dashboard in a car, a LibInsight dashboard allows you to quickly access the data you need for monitoring library services and making informed decisions. 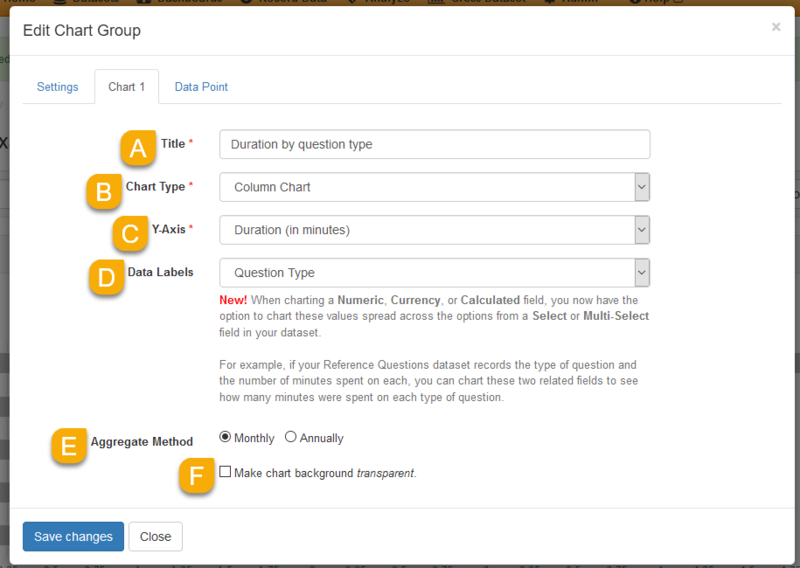 Each dashboard page can contain multiple charts, each chart tracking an individual field from any dataset. By combining multiple charts, you can quickly measure your progress toward fiscal year goals, track service volume, and analyze the usage of your print & digital collections. Click on the Manage Dashboard () button in the Actions column or click on the title of the dashboard in the Title column. Then click on the Add New Row button. The row will be added to the dashboard displaying a placeholder chart. In the row's header, click on the Edit This Row () button to choose the data you want to display. Customize the Title of the row. Add an optional Description to add context to the chart. Select the Dataset you want to pull data from for the row. Select the Date Range interval for your data. This will determine the range of records that will be displaying in the chart. You can choose a rolling date range (e.g. data from the last 6 months) or a fixed custom date range (e.g. a specific fiscal year). Optionally, you can customize the background color for this row. You can also customize the colors used in the row's charts. Select Use System Palette to use the colors in your system settings. Or, click Custom to add your own colors to use. Customize the Title of the chart. Select your desired Chart Type. 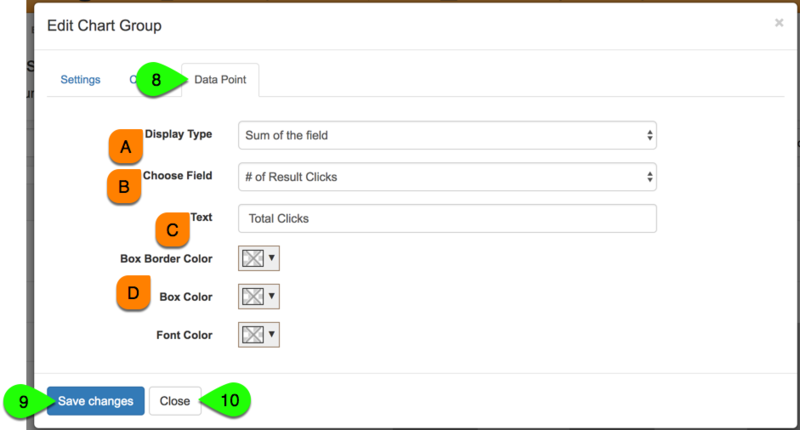 Use the Choose Field dropdown menu to select the specific field from the dataset to visualize in your chart. Select the Aggregate Method you want to use for displaying the data. You can display the data either Monthly or Annually (the best method really depends upon the scope of your Date Range). If you'd like, you can choose to make the chart's background transparent. Optionally, you can click on the Data Point tab to highlight a specific metric from this data. This will display as a number in a small box above the chart. Select the Display Type for your data point. This can be either the sum or a count of values in a particular field. Use the Choose Field dropdown menu to select the specific field you want to summarize. This can be different than the field displaying in your charts. 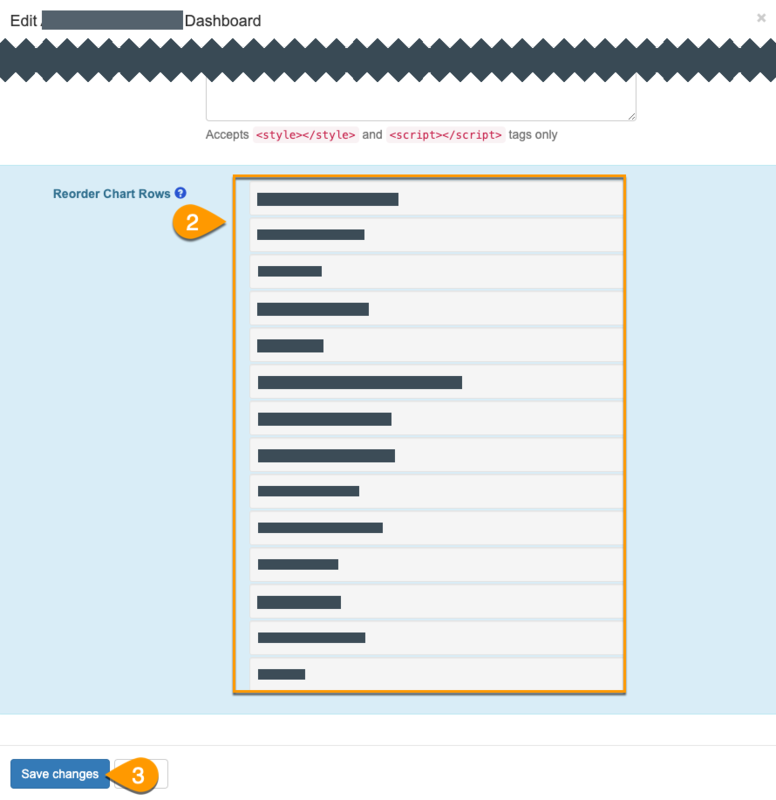 In the Text field, add a caption to give the data point some context. Use the Box Border Color, Box Color, and Font Color options to customize the appearance of your data point. Click on the Close button to view your chart. In the row's header, click on the Edit This Row () button to make changes to the content of the row. In the row's header, click on the Delete This Row () to remove the row from the dashboard. Click on the Edit Dashboard Settings button. 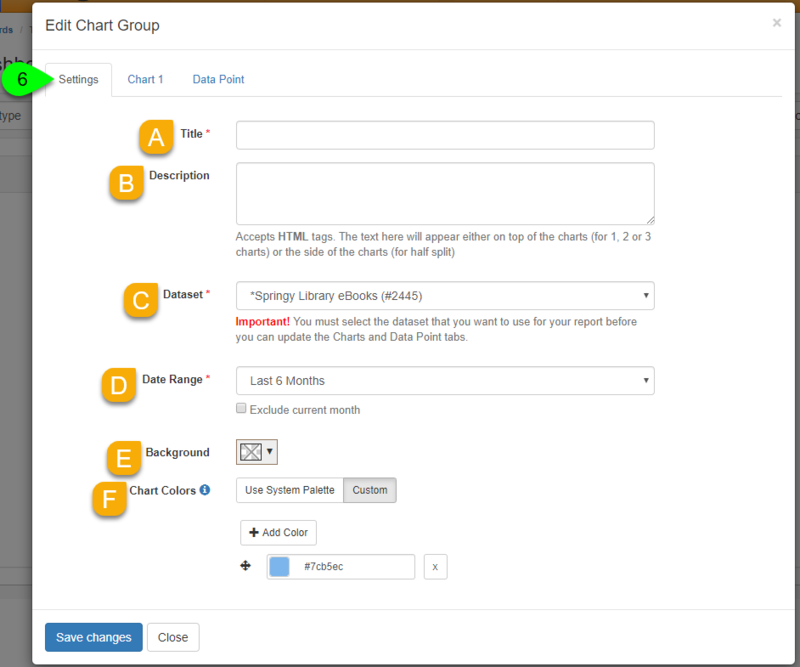 On the Edit Dashboard modal, drag and drop the rows in the Reorder Chart Rows section to the new order.